Emergency Tree Service in Tall Timbers Tree Services answers damage cause by trees during Sydney storm. Venture Tall Timbers Tree Services - Emergency Tree Service for any dilemma that trees create. Trees can be affected by sudden climate change. This is particularly so when there is extreme storm weather, hazardous weather or frost. When this type of sudden or extreme weather hits, trees can be affected and can require immediate removal. Anyone living in Sydney would be fully aware of how hot and sunny Sydney can be one day. The next day will be torrential storms, hale and gale winds. We are now entering the rainy season in Sydney. With rain, comes damage that trees can cause when they are in a vulnerable position. 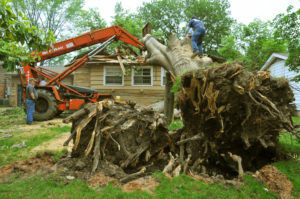 Tall Timbers Tree Services has the experience and knowledge to quickly remove any damaged tree. Also for those trees already fallen from your property, avoiding damages or minimising the damage already created. Damage caused by fallen trees can lead to a very hefty repair or insurance bill. To avoid a situation like this you should call the experts who have almost 30 years’ knowledge, and are the industry leaders. If you are concerned about vulnerable trees, or trees or branches that may fall during a storm or heavy rain. Trees that are in close proximity to a house, building or shed. Then call the experts on 0414 627 627 or send an email enquiry. We can be there in no time at all. Don’t wait until the damage is done, prevention is always better than clearing a fallen tree. Tall Timbers Tree Services is on call and ready to help 24/7 for any emergency tree service. We understand how stressful these situations can be if immediate action is not taken. In the case that a tree or branch has fallen, we are still able to help. We accommodate Emergency Tree Removal Action area and service to the greater part of West, South, and North shore of Sydney. The sooner the damage can be cleared up the safer the environment for all adults, children, pets and property. Our services are rapid, efficient and safety is a priority. 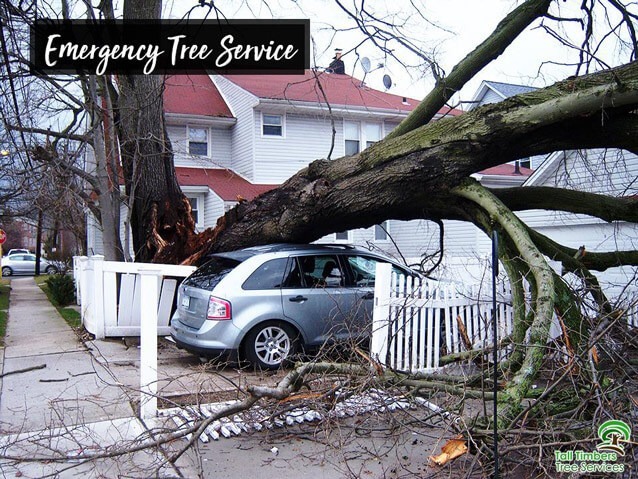 To get our emergency tree services, call Phillip and the team at Tall Timbers Tree Services at any time. Let us do the job to remove all danger from your property.